Did you know council fire regulation will detemine which locks you can install to your apartment? When you consider home security and which locks to install, it’s depends on the type of place you live in that will determine your choice of locks. For unit dwellers there are strict fire safety regulations put in place by the local council that govern the types of locks that should be fitted. Choosing the “wrong lock”could mean that upon fire inspection you may receive an order to remove it, which is your time and money down the drain. At Nexus emergency locksmiths Drummoyne we are here to help you by providing useful information on this topic, including which ones are ok vs which ones are not. The kinds of locks that are non compliant are those which may impede the door from latching, such as deadbolts. The basic rule in getting it right is to ensure that your door is able to latch under the pressure of the door closer. The problem with dead bolts is that the bolt may be forgotten in the locked position when the door is unlocked, meaning it could potentially block the door from latching. This makes the Lockwood 355 unacceptable for installtion to your apartment. If you are security conscious and want more protection than just a deadlatch and a konbset then you could consider installing a stell security grill. These are able to be fitted with Lockwood 001 deadlatches which comply with council and also offer top notch security. One of our customers recently had one put on for under $1,000. That’s $1,000 well spent and it has vastly improved safety levels against a break in. How can you further improve the shield that is your front door? Apart from beefing up the physical barriers such as using solid core dors with sturdy locks there are further methods which you can use to further hinder illicit gain entry. Bi lock, Abloy and EVVA are unpickable barrels that can be retro fitted to your existing locks. These unpickable cylinders will ensure that nasty tricks, such as the use of bump keys, will be rendered useless. 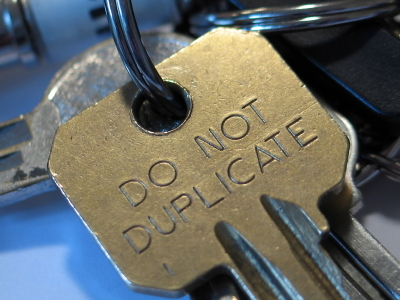 In addition to that no one, besides the authorise signatory, will be able to duplicate the keys, this keeps a tight lid on key control and offers the opportunity to do a key audit should you suspect missing. The keys are marked with a system number which you will need to quote each time you need to get a key cut, a key number that identifies which doors it opens, and an issue number which is useful in keeping track of how many keys have been issued.